The Commission issues leases for offshore oil production facilities within three nautical miles of the coast, including oil-producing islands and offshore platforms. The Commission also regulates every marine oil terminal in California. Both functions form the Commission’s oil spill prevention program, which is designed to provide the best achievable protection of public health, safety, and the environment and to prevent an oil spill in state waters. The Commission’s prevention program has successfully limited the number and severity of oil spills in state waters. This is a testament to the commitment and dedication to safety by our lessees and our staff. The Lempert-Keene-Seastrand Oil Spill Prevention and Response Act of 1990 covers all aspects of marine oil spill prevention and response and divides enforcement between the Commission and the Office of Spill Prevention and Response, a division of the Department of Fish and Wildlife. The Commission is responsible for the prevention aspects of the program. 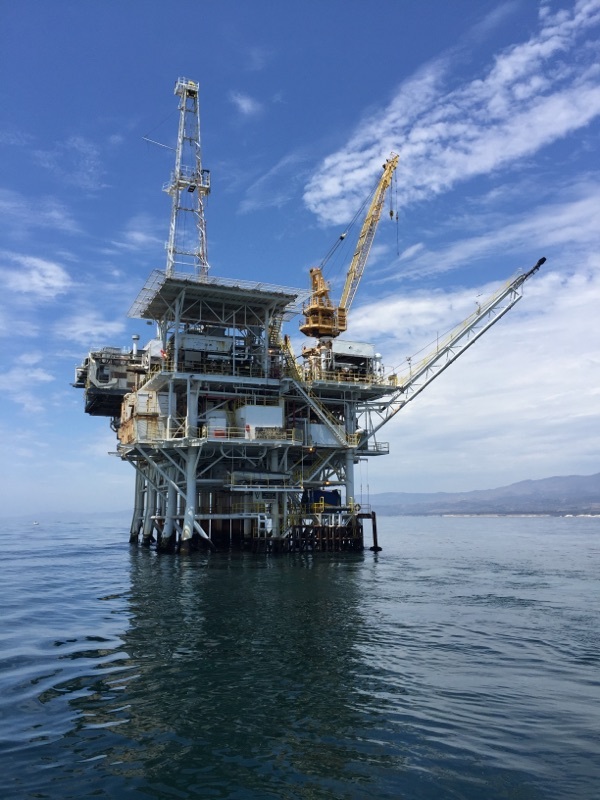 The Marine Environmental Protection Division operates a marine oil terminal monitoring and inspection program, with responsibility divided between its field offices in Hercules (Northern California) and Long Beach (Southern California). Every day, nearly two million barrels of oil are transferred over water through pipelines between ship and shore at California’s marine oil terminals. Our professional safety staff inspect marine oil terminal transfer operations daily at 34 sites along the coast, and inspect activities and enforce regulatory requirements. Inspections include observing and assessing oil transfers to and from tankers and barges at marine oil terminals. Safety staff conducts comprehensive annual/spot inspections at each marine oil terminal. These periodic inspections examine structural, pipeline, electrical, and other equipment that may pose an oil spill risk. Staff also reviews operational procedures and examines marine terminal personnel oil handling training and certification (Article 5.3). The Marine Environmental Protection Division uses a marine terminal priority monitoring system to ensure we monitor the most critical and significant oil transfers. This system ranks the marine oil terminal and each tank ship and barge operating in the marine waters based on the rate of prior monitoring, noting “violations and flagging” for enhanced inspections. Staff documents this information in the Commission’s spill prevention database, which is used to track regulatory compliance, monitor prevention activities, and manage daily operational tasks. The Marine Environmental Protection Division monitors marine oil terminal pipelines to ensure they are tested and maintained. The monitoring is consistent with regulatory requirements in Article 5.5, static liquid pressure test, API 570, and 49 CFR testing procedures. The Marine Environmental Protection Division is responsible for reviewing marine oil terminal operations manuals. Operators that transfer petroleum products between a vessel/tank barge and a marine oil terminal are required to prepare an operations manual. The Division reviews operation manual amendments to ensure regulatory requirements are met, consistent with Article 5.0. The Marine Oil Terminal Engineering and Maintenance Standards, known as MOTEMS, are rigorous building standards adopted to upgrade aging and design new terminals to ensure better resistance to earthquakes, protect public health and the environment, and reduce the potential of an oil spill. The MOTEMS, as part of the California Building Code, apply to all marine oil terminals in California and establish minimum engineering, inspection, and maintenance criteria for marine oil terminals to protect public health, safety, and the environment. The Marine Environmental Protection Division staff review and comment on oil spill contingency plans for each marine oil terminal to ensure the best achievable protection of state waters and natural resources. The Office of Spill Prevention and Response approves the plans. The Mineral Resources Management Division staff inspects offshore oil production equipment monthly, consistent with its regulations (Article 3.3 and Article 3.4). The inspections include physical testing of production and processing alarms and shutdowns: including each well’s surface and subsurface safety valves; toxic and combustible gas detectors; fire and smoke detection equipment; fire, abandon platform, and man overboard alarms; pipeline alarms; the emergency shutdown system; fire pumps, deluge and fire control system; and the emergency generator. Staff also checks navigational aid functionality and inventories spill response equipment. Staff reviews maintenance records of PSV (pressure relief), cathodic protection rectifiers (corrosion control), firefighting equipment, and lifesaving equipment. Staff also checks pipeline right-of-way surveillance, spill drill, and boom deployment records for compliance. Each inspection takes two to three days and involves inspecting approximately 300 safety items on each facility. If deficiencies are not corrected immediately, the affected equipment is shut down and isolated, which may require that the facility is shut-in. Platform inspections ensure the integrity of platform safety systems and that equipment is available and in good operating condition to respond to emergencies or spills. The Mineral Resources Management Division staff comprehensively audits offshore oil and gas production facilities on a five-year cycle. The audits, designed to ensure compliance with Articles 3.3, 3.4 and 3.6, assess the design and condition of each platform and shore-side facility and that the operators of the platforms are producing safely. Staff analyzes the technical design of safety systems on oil and gas drilling and production facilities and verifies that the alarms and controls are installed and operate as designed. Staff also reviews equipment maintenance and corrosion prevention and inspection programs to evaluate fitness for pressure vessels, tanks, and piping. A third-party contractor analyzes and inspects the design, maintenance, and condition of electrical distribution systems. Training and qualification programs at platforms and oil facilities are reviewed to assure competent operation. Staff reviews the operating manual and spill prevention plan to evaluate procedure adequacy for normal operation, upset conditions, and response to spill incidents. Staff assesses, using a Safety Assessment of Management Systems (SAMS) program, the organizational safety culture, the human factor element, and the maturity level of safety programs. Staff evaluates these factors through confidential interviews with a cross-section of company operators, engineers, management, and contractors. The SAMS program is a model for other state and federal agencies. Safety audits provide a comprehensive evaluation of facility design, condition, procedures, and personnel. Audits usually result in a matrix of action items that are prioritized by risk and staff follows up to ensure operators implement corrective action items. The Commission has strict regulations related to drilling and production on state leases. An operator cannot drill or abandon a well if it does not meet the Commission’s regulations in Article 3.2 and Article 3.4, and all industry and code specifications. Requirements include proper blowout prevention equipment and casing design, contingencies for hydrogen sulfide and oil spill response, critical curtailment plans, and abandonment of wells. Before drilling or abandoning any well, a lessee must provide the Commission details about its proposed well plan and copies of permits. Staff is usually present during critical times or during well testing, and receives daily updates about the drilling and completion activities. As a result of the April 2010 blowout of the Deepwater rig in the Gulf of Mexico, blowout prevention equipment requires third-party verification of fitness for purpose. The Mineral Resources Management Division is responsible for overseeing operation and maintenance of all offshore oil and gas pipelines (California Oil Production Regulations (§2132, Pipeline Operations and Maintenance) and the Offshore California Pipeline Inspection Survey MOA between state and federal agencies). The Division monitors 34 offshore oil, gas, and utility (water) pipelines ranging from 3 inches to 24 inches diameter (a majority are 6 to 12 inches diameter) that extend a distance of 0.5 to 9.6 miles in state waters. Statewide, 11 pipelines originate from state facilities and 23 federal pipelines pass through state waters. All pipelines that cross state waters carrying oil and gas are inspected annually. Staff conducts internal inspections by pumping an electronic magnetic flux tool through the pipeline. A hydrostatic test to 1.5 times the maximum operating pressure of the pipeline is required if a smart pig run is not mechanically feasible. The test equipment and procedures must have prior approval, and the test results must be reviewed and approved by Mineral Resources Management Division engineers. Staff conducts external inspections of submerged pipelines using a diver or remote operating vehicle. The external inspections detect damage, movement, free spans (unsupported section of pipeline), or foreign objects lying across the pipeline that may cause failure owing to physical movement or accelerated corrosion. Videotapes and diver reports of external pipeline inspections are reviewed by Division engineers, and corrective actions, if necessary, are coordinated with the pipeline operator. The Mineral Resources Management Division staff review and comment on oil spill contingency plans for each oil and gas facility to ensure the best achievable protection of state waters and natural resources. The Office of Spill Prevention and Response approves the plans. The Mineral Resources Management Division reviews offshore oil and gas drilling and production facility operations manuals. All oil and gas drilling and production operations, whether platforms, islands, or pipelines, are required to prepare operations manuals that meet or exceed our regulations and industry standards, and to keep those approved manuals on site and available to the crews working on those facilities. The Division helps ensure that operators meet regulatory requirements by reviewing operations manual amendments, consistent with Article 3.6. As required by statute, the Oil Spill Technical Advisory Committee (TAC) presents this report to the Governor and the Legislature of California as an opportunity to review our activities of the past two years and discuss priority issues and recommendations for the State’s oil spill program for 2017-2018. The report follows the format of recent reports, which we hope informs the Governor and the Legislature of the important issues with which the TAC has been engaged, as well as adequately highlights those issues that we feel are critical to our State oil spill preparedness, prevention, and response. Every four years, the Commission is required to contract with the Department of Finance for the preparation of a detailed report to the Governor and the Legislature on the financial basis and programmatic effectiveness of the state’s oil spill prevention, response, and preparedness program. The report analyzes the program’s expenditures, fees and fines collected, staffing and equipment levels, spills responded to, and other relevant issues. The report includes recommendations to improve the efficiency and effectiveness of the program, including, measures to modify existing contingency plan requirements, to strengthen the protection of sensitive shoreline sites, and to ensure adequate and equitable funding for the program. Ellwood Onshore Facility – Venoco, Inc.
McGrath PRC 735 and 3314 – Venoco, Inc. Platform Holly – Venoco, Inc.